My latest favorite picture of hubby and I. 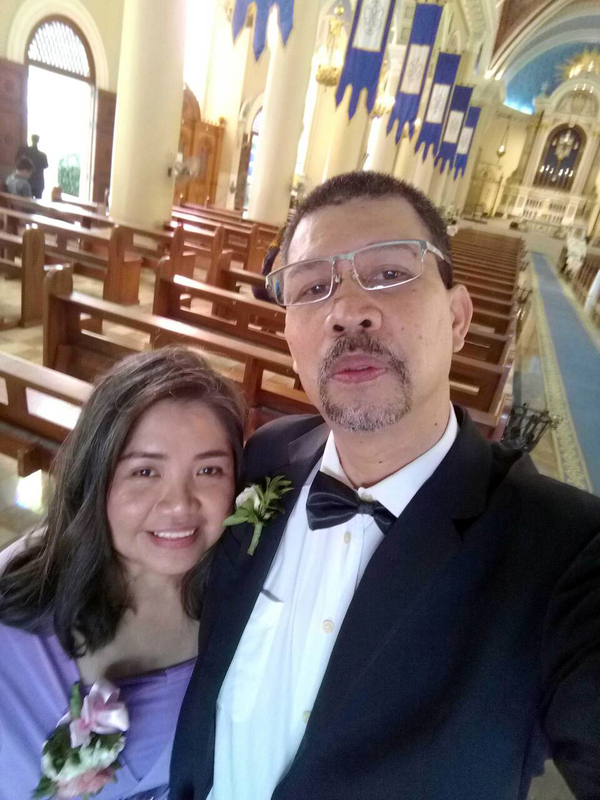 This was taken inside the Immaculate Conception Cathedral of Cubao where the wedding ceremony of our niece took place last week. We served as Principal Sponsors to the newly wed. This entry was posted in Occasion, Personal and tagged principal sponsors, wedding ceremony on October 5, 2018 by Yami.